Hassett resting after her physical therapy session. Students have the option to use Marist College’s on-campus physical therapy program to recover from serious injuries, and some take advantage of the situation. Junior Sunoma Hassett is one of the students that takes part in Marist’s program. “I just finished physical therapy with Dr.
Hassett’s scar from surgery on her ligament tear. Powers,” Hassett said. “Now I am icing my knee to minimize soreness, swelling, and irritation. 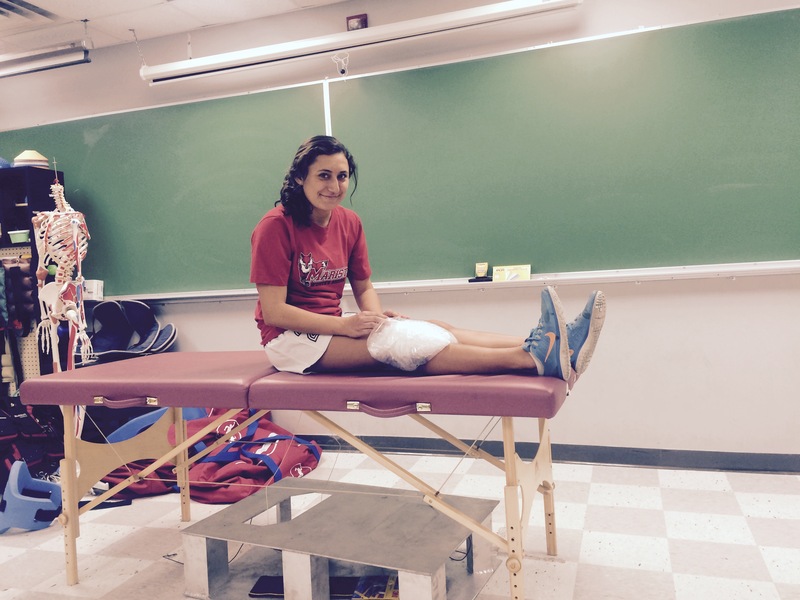 Overall, Marist’s physical therapy program seems to be helping students recover very well.